Shadow. . HD Wallpaper and background images in the shadow el erizo club. 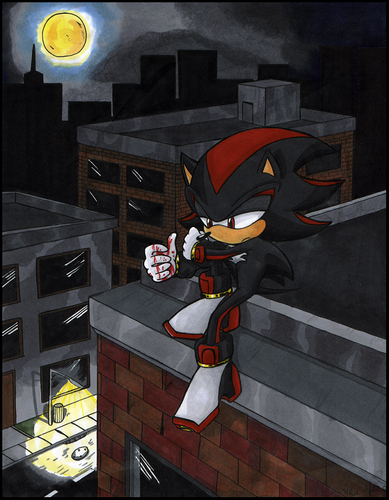 This shadow el erizo fan art might contain signo, cartel, texto, pizarra, letrero, cuarto familiar, and habitación familiar. why is there blood on his hand??? 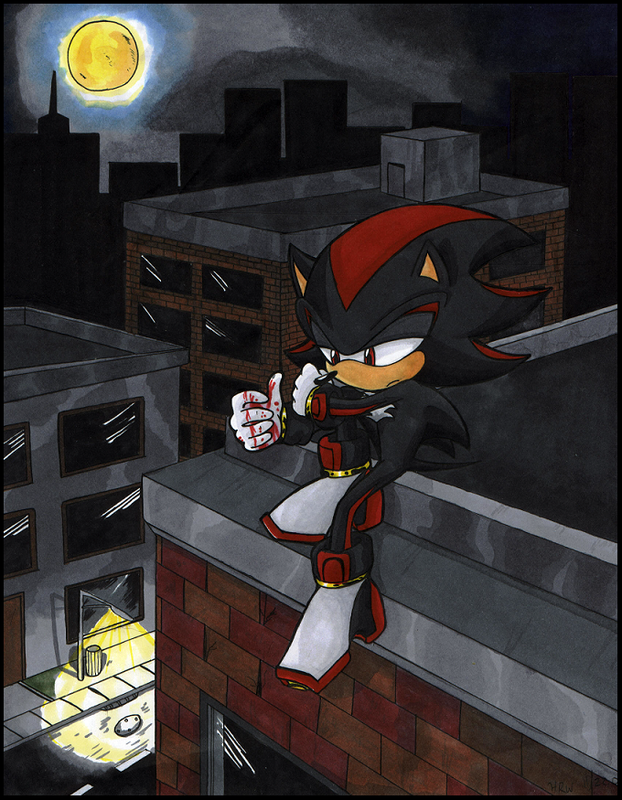 *puches Shadow off building* thats better!